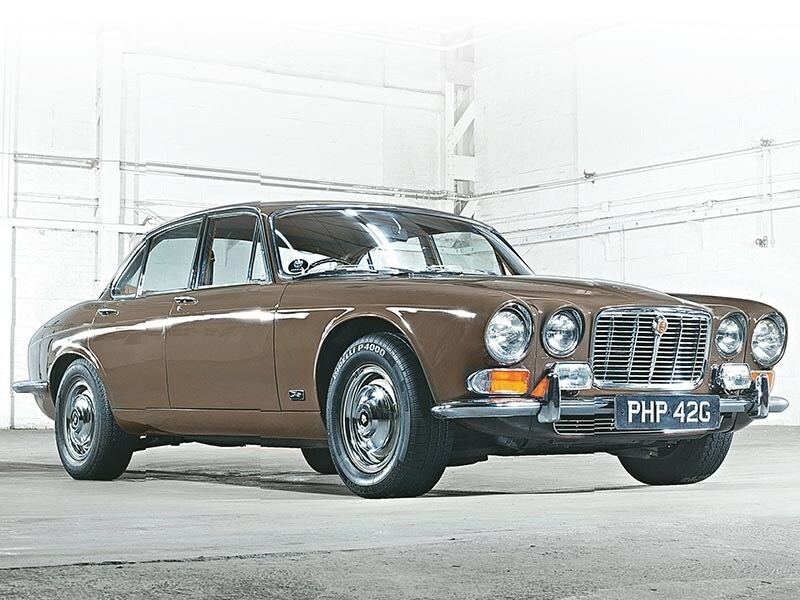 The XJ6 was released to a gobsmacked media and public at the 1968 Earl’s Court Motor Show, instantly putting Jaguar at the head of the prestige sedan market. Redesigned all-independent suspension with anti-dive geometry delivered the best blend of ride and handling in the 1960s automotive world. Power came most commonly from the proven 4.2-litre six-cylinder engine that developed 182kW. A 2.8-litre version was available to buyers who didn’t crave the bigger motor’s muscle or increased running costs. Four-speed manual transmission with overdrive was standard but early SIs most commonly came with the Borg-Warner Model 8 automatic. It was replaced in 1970 by the Model 12 three-speed. The SI survived until late 1973 when it was replaced by a mildly-restyled SII model. From 1973 a long-wheelbase (105mm extension) became available. Just 875 SIs and all but 170 of the SII sedans were LWB. By then under British Leyland management, corners were cut and suppliers squeezed. Strikes and even industrial sabotage were common. Australian emissions compliance saw the induction system redesigned on SIIs and power reduced by 45kW. Late in 1978 a fuel-injected 4.2-litre was introduced; reclaiming performance while reducing fuel consumption. 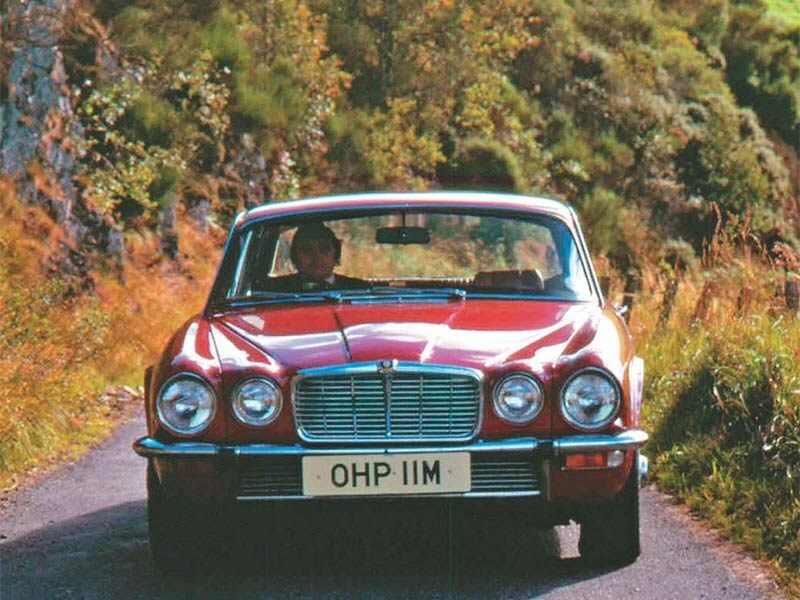 The Series III XJ6 launched in 1979, a Pininfarina restyle bringing a more steeply raked windscreen, and a new nose and tail. Production techniques and quality control were improved, eliminating many of the SII’s ‘niggly’ faults. Seats with deeper cushions gave front occupants a softer and more supportive ride. 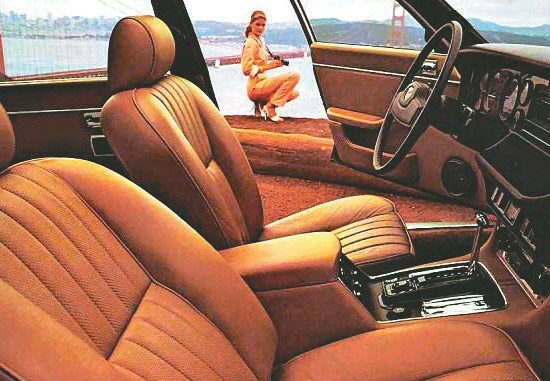 In 1982 the luxurious Sovereign joined the range. Six-cylinder cars were replaced in 1987 by the XJ40. Fuel-injected engines should start easily whether hot or cold and warm quickly. Carburettor cars can take longer but beware any that stutter after the temperature gauge passes 75 degrees. Kick-down rarely brings a swift response from any of the XJ auto-boxes and the Model 65 automatic with its strange selector makes manual downshifts more difficult than in preceding cars. Late-production SIIIs adopted the stronger and more user-friendly GM400. Five-speed manual transmission was available on the SIII from 1982 but these cars are very scarce. Driving an XJ of any age should be a smooth and eerily quiet experience but worn shocks and soft springs can cause alarming body roll. Rack and pinion steering is used in all XJs but doesn’t offer a huge advance over the 420 model’s recirculating ball system. 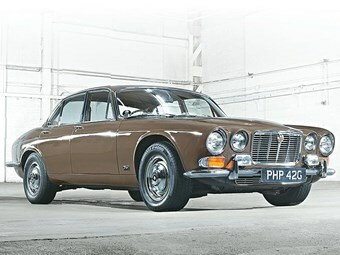 Series Three XJ6s weigh almost 1800kg and low-speed acceleration is leisurely. Using the engine’s 3500-5000rpm power-band transforms performance. Rare four-speed manual SIs will easily break 10 seconds for the 0-100km/h dash. The all-disc braking system is excellent when in good condition. Rust and poor panel fit are key issues. Significant corrosion in the lower firewall, windscreen surround, inner door sills and floors are deal-breakers. Other areas can suffer but are cheaper to repair. Early chrome bumpers are hard to find and new SIII bars which come in several sections are expensive. Damaged door-seal rubbers cost around $1000 to have replaced. The XK engine is reliable, owner neglect responsible for most failures. Idle oil pressure should run 20psi hot. Fully-rebuilt exchange engines cost around $5000. Rattling or slip under acceleration signifies a troublesome auto. Diffs leak oil and can fail if ignored. A suspension rebuild can run to $3000 including labour. Creaking from the front end and uncontrolled bouncing over bumps are bad signs. Rear brakes are a weak point and the best way to fix is to drop the rear suspension carrier and replace rotors and pads. Handbrake pads are separate and can fall out if worn. windows may respond to lubrication. Make sure that the switch that swaps fuel feed between the two 45.5 litre tanks is working and you should be set.